The old girl has been treated to a bit of a facelift through the spring. The cars nearing 150k miles and is used as my daily driver so deserved some TLC. 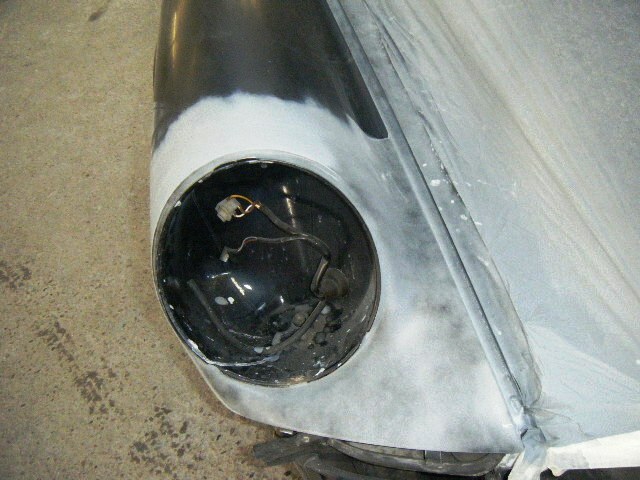 What started as some front bumper repair works soon led into a total front end respray. I had managed to pass a road gritter travelling at high speed, (the road gritter) in the opposite direction this winter so the the front end was peppered with stone chips. The works included removing the windscreen and sorting out the rust in the scuttle panel edges. The car came back looking so good that it wasn’t long before I started contemplating tidying up the targa cover bar. The paint work was looking tired and the weatherstrip had debonded at the top edge. After studying the various online writeups I decided I would go for the backdate, stainless steel look instead of a repaint. 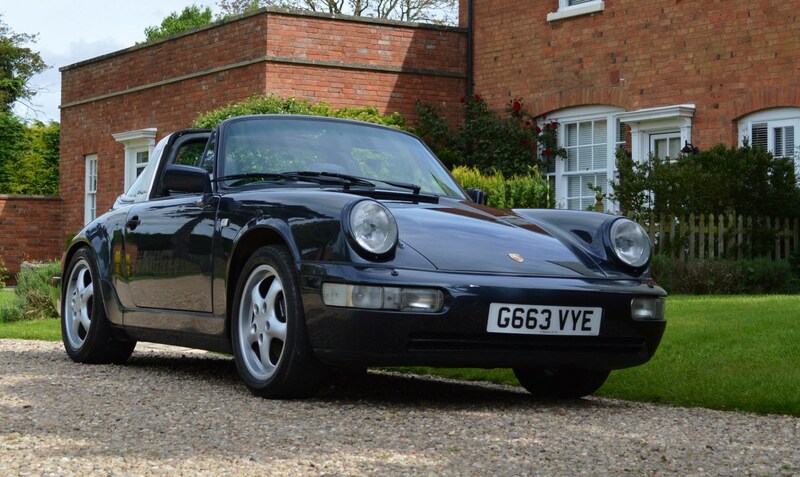 Any targa pre 964 had various right ups how this task has been tackled in a matter of an afternoon or so, no such luck with the 964. The only mention I could find was "don’t do it if you don’t have to". The oil tank prevents access to the hold down bolts underneath the rear wheel arches and has to be removed to complete the targa cover removal. Not deterred I decided to to spend a morning to see if I could first gain access to the hidden bolts in questions. 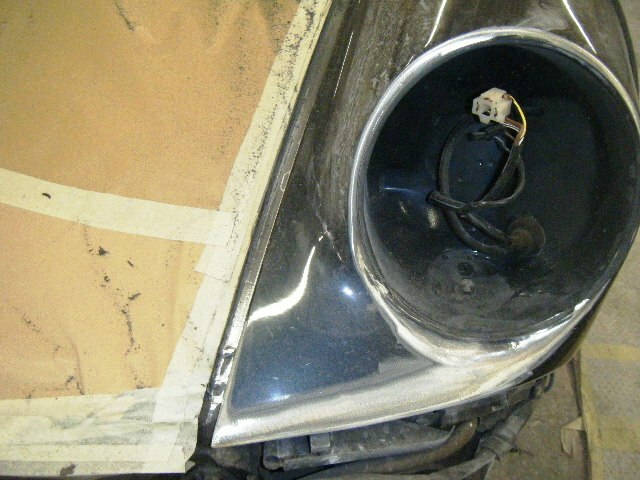 In short it is achievable without removing the oil tank but takes a lot of patience and a myriad of small gauge socket connections. 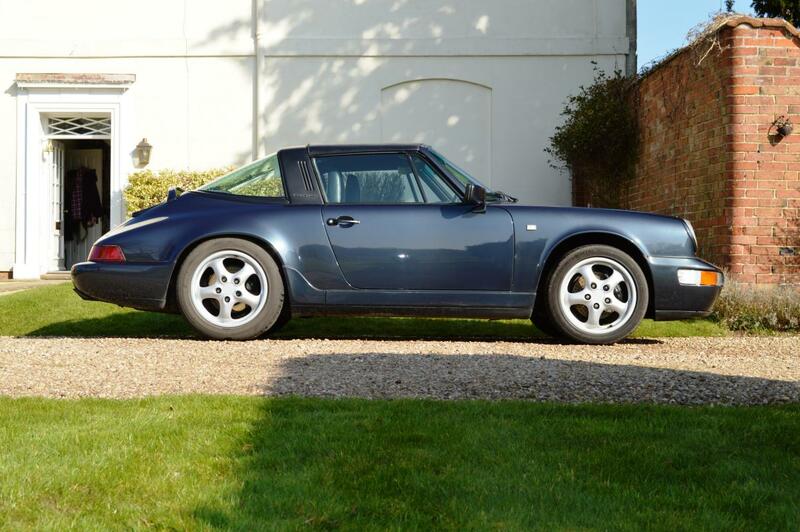 If anyone is interested in a full right up, removing the targa cover bar on a 964 let me know. 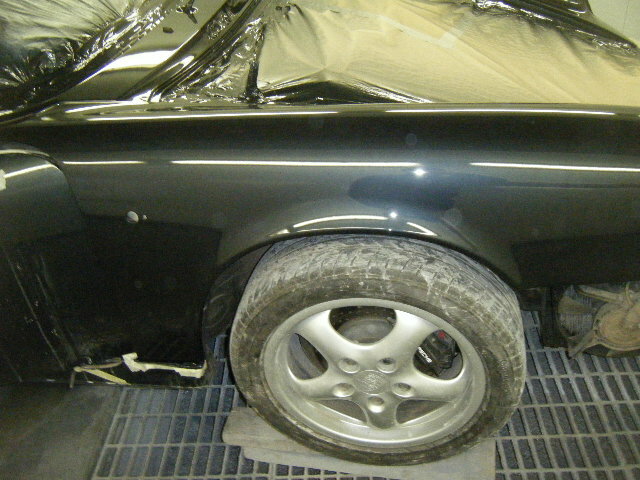 In short the targa bar was removed, stripped and polished. I have a early 1990 car so it looks like they used all of the old stock stainless steel covers with the side vents before changing to aluminium covers without vents at a later date. Needless to say that I am quite happy with the end result which I think complements the colour of the car. I have also removed the third brake light hoop as it didn’t do anything for the lines of the car in my opinion. I’ve yet to decide weather to get the fixing holes made by the bar welded up but in the interim will make up some small plastic cover plates, colour matched. So I decided to give the car a good clean and polish this weekend and so far I am very happy with the results. The first two photos below are of the car two years ago for comparison. Let me know if there's any item above you would like more details on. That looks stunning, really like that switch to a SS hoop. Which blue is that? 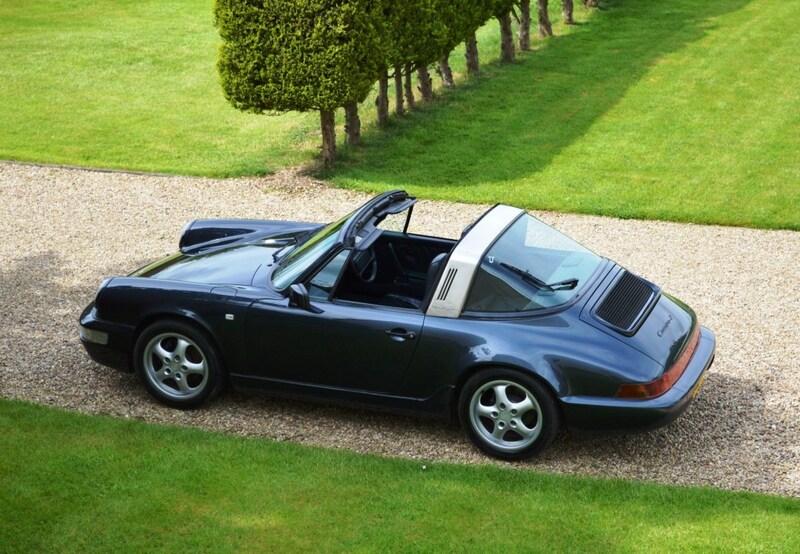 I had a '90 marine blue targa., which was lowered a bit (yours looks original height at the front? ), and I also removed the rear wiper which really tidies up the look. It a very simple job. Marine blue metallic it is, well spotted. I'd love to replace the suspension all round to get some rake on the front end, possibly the next project to complete. looks right with the polished finish, reminds me of the current 991 Targa. 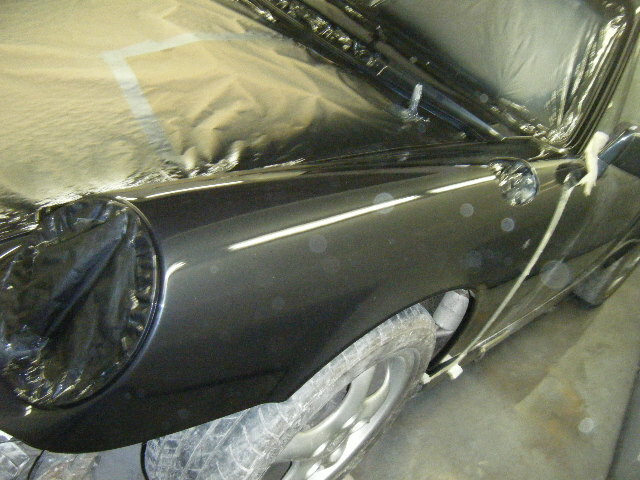 Below are some pictures of the body work in progress. If you need paint & body work done in the Midlands area I can highly recommend Manhattan Motors in Coventry, ask for Alan. They do a lot of work for the local Porsche specialists so they have good knowledge of the product. It’s always a pleasure to meet people who take great pride in their workmanship. The Marine Blue metallic colour is a difficult colour to match as it has an element of flip in it. 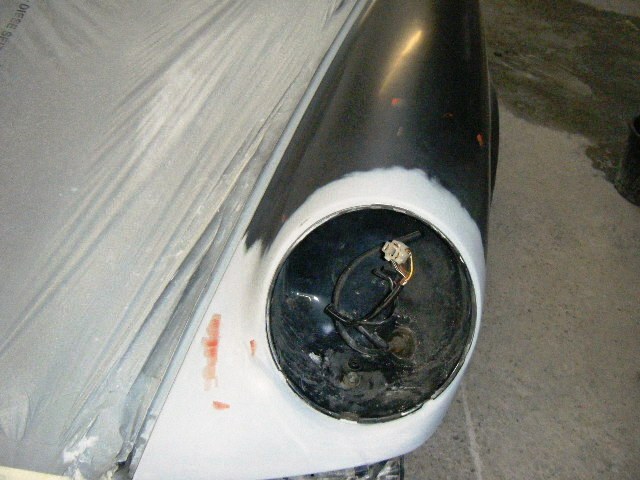 The paint job is seamless for a front end respray. If not to much trouble I would be interest in hearing how your removed the bar without taking the oil tank out, how rusted were the bolts? And did you completely remove the rear window? Apologies for not replying sooner as I have just got back from holiday. I'll try to commit sometime this week into adding some pictures for the description of works below. I would note that the sequence of works is fraught with a bit of danger. You may still have to remove the oil tank should anything go wrong while attempting the method I used so please bear this in mind. As you may know already the piece you remove is essentially just a cover trim which covers the main structural Targa bar underneath. It is held on by approximately 13 screws that are hidden behind the weather strip and underlying adhesive & 2x10mm nuts each side which secure the cover to the body. 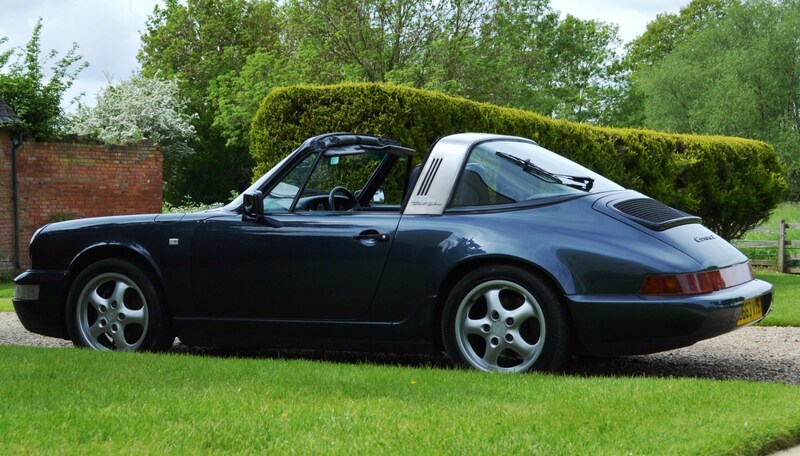 There is no need to remove the rear window, if you have a look at the rear weather strip on the back edge of the Targa bar you will see it can be pulled off. 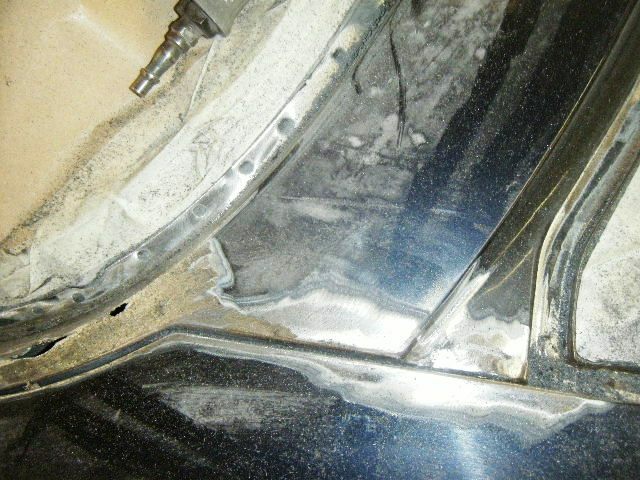 Remove driver’s side rear wheel to access the nuts attaching the Targa bar to the body. You must start with this as if you fail to remove these two nuts, (2x10mm) the rest of the job will be impossible without removing the oil tank. I managed to loosen the oil tank support bolts that sit on the rubber mountings, this allow a little movement of the tank to thread an ensemble of small ¼”gauge socket bars with flexible end attachment through the oil hoses. By carefully using a small timber block or similar you can create a small gap between the oil lines just wide enough to get the socket through. I also managed to wedge a small led torch in the upper wheel arch behind the oil line which shone just enough light through to see the bolts in the distance. (Head torch also needed). Once you get your bearings on the bolt locations in the distance spray some WD40 or similar through from the underside and I also sprayed some through the targa side vents in the hope that it would run down the threads from above. Then it’s a matter of threading the socket through and trying to gain purchase on the nut. I joined up various ¼” socket extension bars and taped the joints, a flexible section was added to the end which allowed me to push the 10mm socket end over the nut while threading it through at about a 30 degrees angle. Note I taped all of the socket connections together in case they came apart in the process. Carefully remove nuts. As you will notice there are a number of steps above that could go wrong and still lead to removing the oil tank. If you have managed to get this far without it going pear shaped you can move to the opposite wheel arch. Remove wheel, remove plastic wheel liner tray which will expose the carbon fuel canister. Loosen the canister clamp so it can be carefully moved to one side to gain a sight line to the other 2x10mm nuts. As you are working around fuel lines be careful. As per the other side, once you have located the nuts, thread the socket bar arrangement through and remove. Writing the process down It all appears rather logical now but at the time It took me quite a while to work through all of the processes above in my head to get to this point. I was doing this over a weekend so the above plus thought process probably took half a day and at this stage I decided it was beer-o-clock and better to commence the rest of the works on the following day. Remove weather strip carefully with a sharp knife so it can be reused. Remove all of the sealant from the weather strip channel which should expose the small screws behind. A couple of the screw on mine where rusted through and had to be drilled out. Remove the two large plastic fixings each side that fix through the weather strip. These need to be carefully pried out as they have a plastic thread. Remove rear weather strip over window which is just friction fixed. After all of the fixings were removed I sprayed a liberal amount of WD40 under all of the edges of the targa cover bar, I did this to help release the cover from sealant and 25 years of being secured down. I then went back under the wheel arched with the socket arrangement and used it to give the thread a gentle tap to try and get the targa cover moving. 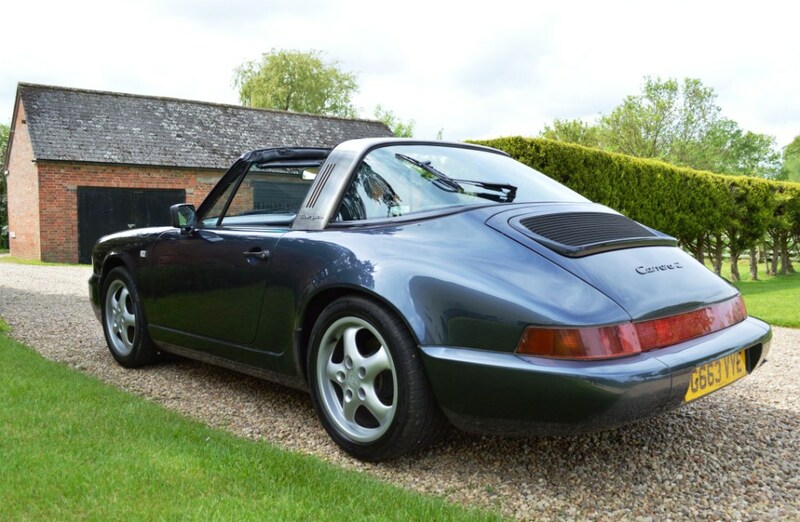 Move the seats forward so you can stand in the rear footwells and gently start to pull up on the edges of the targa bar cover to release it. You may have to go back under the wheel arches to give the threads a further gentle hit. 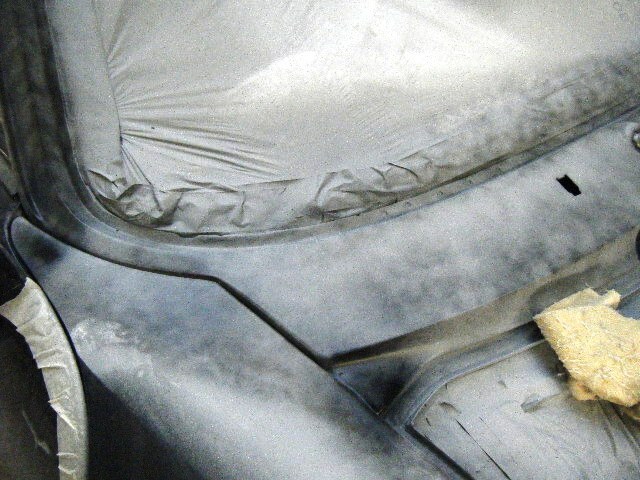 Be careful as the targa cover release away from the structural bar underneath, it will spring away on both sides so you may want to mask up and protect the surrounding bodywork to prevent damage. If you manage to get to this stage you’ve earnt another beer. 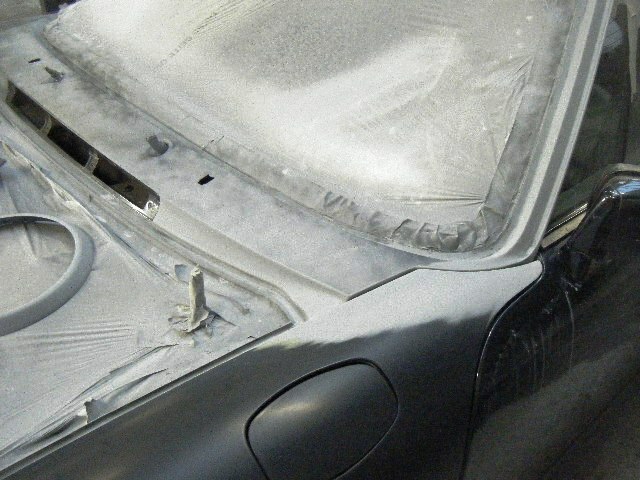 Follow all of the targa stripping and finishing write ups on the web and reverse the process when installing. 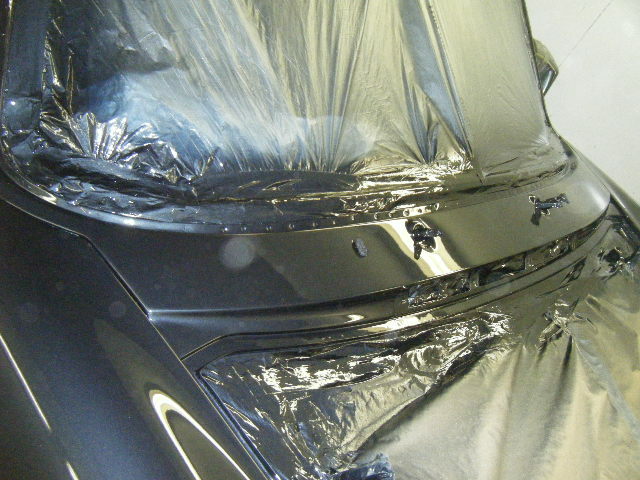 I continued to drive the car without the targa cover on, weather dependant which allowed me suitable time to strip the paint and refinish the stainless steel underneath. The rest should be straight forward but don’t forget to be careful reinstalling the 2x10mm nuts. I used the same socket arrangement making sure to push the 10mm nut home in the socket before offering it back up to the thread so it did not fall out while threading it through the wheel arches. I’ll add photos to run through the process above. P.S. some of you may come to the conclusion that it is easier to undertake this at the same time as an oil change if you believe that removing the oil tank is a better way of proceeding. I was just happy to get to the end relatively unscathed and only missing a bit of skin from my fingers. 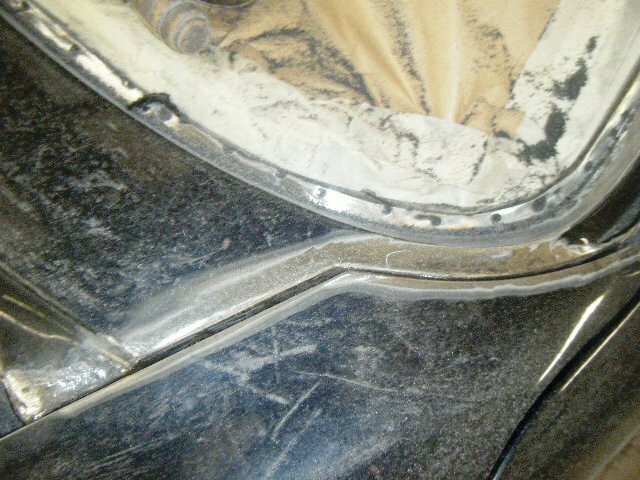 Having just spent a day removing the oil tank from my 993 it will probably be easier not to remove. I doubt my tank will ever have been off before and to say the oil pipes were tight is an understatement. 22 years corrosion seals pipes together rather well! I probably had this in the back of my mind when doing this project. I had replaced the oil hose from the oil filter to tank in the past and it’s not a job I want to repeat in the future, hence I went to some lengths to avoid moving the tank. It’s been some time since my previous post. 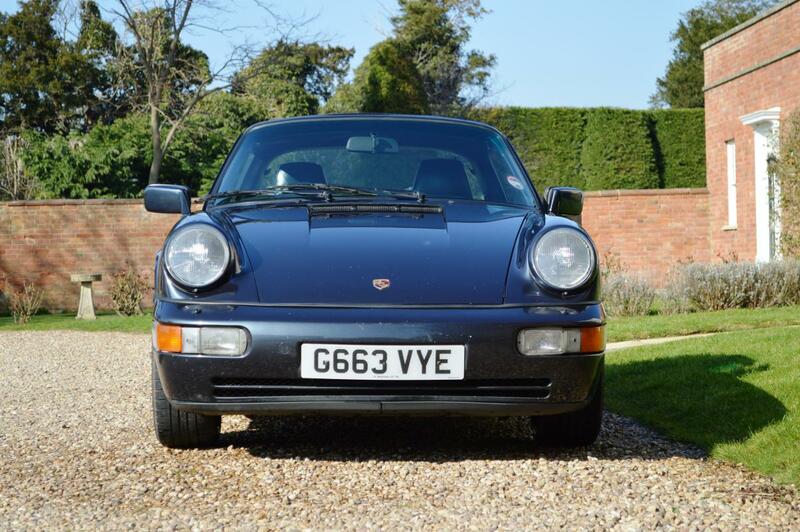 After deciding to retire the car from winter use this year the 964 was consigned to sleep in the garage during the cold months. I decided to invest in another vehicle just as practical & reliable as the Porsche. 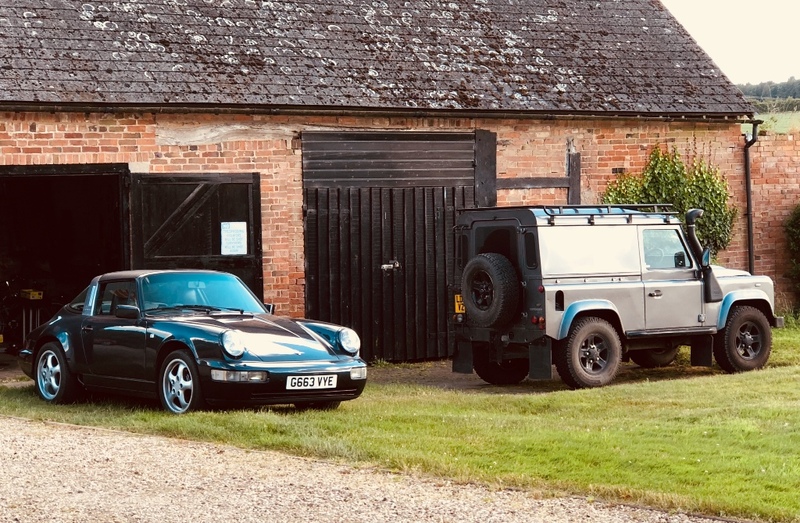 The Defender is noisy, leaks in the rain and requires constant inspection for oil leaks, it’s almost a like- for-like for the Targa. Its the most fun you’ll have driving slowly to a destination. 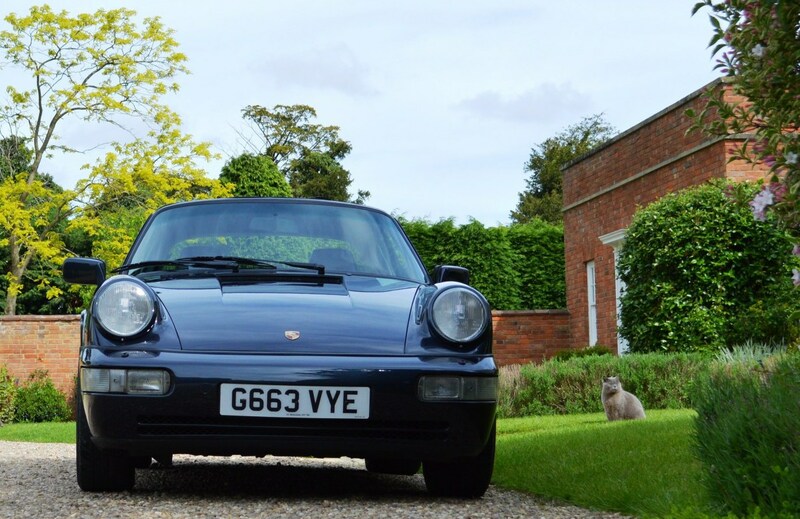 The Porsche came back out of the garage last month for its MOT and squeaked through with an advisory identifying an oil leak in the rear wheel arch. I’ve had to change oil pipes 24, 26 & 46 to get the car back on the road. This is the second time in 4 years since I last replaced oil pipe 46, (Thermostat to Oil Filter), it’s a P.I.T.A to swap so I was not impressed that the last pipe only lasted a few years before the lower crimp connection corroded & split. Ran the car out for a few miles tonight and all going well that’s the oil lines sorted for the summer.